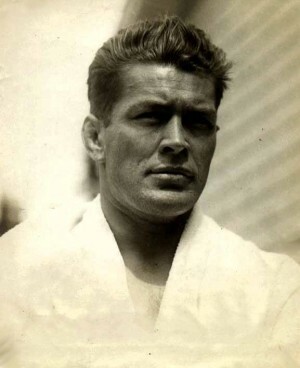 Gene Tunney, byname of James Joseph Tunney, also called The Fighting Marine (born May 25, 1898, New York, New York, U.S.—died November 7, 1978, Greenwich, Connecticut), American boxer who defeated Jack Dempsey in 1926 to become the world heavyweight boxing champion.Tunney began boxing while working as a clerk for the Ocean Steamship Company in New York City (1915–17). He joined the U.S. Marine Corps during World War I and in 1919 won the light heavyweight championship of the American Expeditionary Force in Paris. He returned home to his boxing career and won the U.S. light heavyweight championship in 1922. That year Tunney suffered his only professional defeat, against Harry Greb, but regained the title from Greb in 1923. He knocked out Georges Carpentier in 1924 and subsequently fought as a heavyweight.Dempsey was the favoured fighter in the world championship bout in Philadelphia on September 23, 1926, but Tunney won by decision after 10 rounds. The rematch in Chicago on September 22, 1927, gave rise to the lasting controversy of the “long count.” In the seventh round Tunney was knocked to the canvas, Dempsey failed to retire immediately to a neutral corner, and the count did not begin until he had done so, several seconds later. Tunney then rose on the count of nine and completed the 10-round fight, again winning by decision. Tunney defended his title against Tom Heeney in 1928 and then announced his retirement on July 28 of that year. From 1915 to 1928 Tunney had 77 bouts, winning 65, of which 43 were by knockouts. Tunney entered the business world in the United States and Canada, becoming an executive of banks, manufacturing companies, insurance firms, and a newspaper (the Toronto Globe and Mail). He pursued his interest in literature and was the author of A Man Must Fight (1932) and the autobiographical Arms for Living (1941). 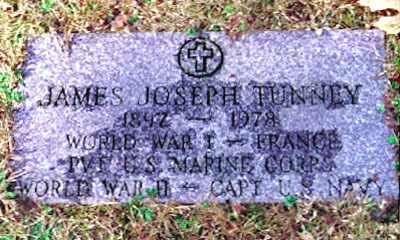 One of his four children, John V. Tunney, was a U.S. senator (1971–77).